Out of the counterculture movement of the sixties arises a true story about risking it all for true freedom. Folk singer Jerry Gallaway and ex-ballet dancer Reva Lynn Gallaway leave behind a life of opportunity and fame to raise a family in the woods of northern New Mexico. For six children born in the wild with no birth certificates, no worldly identity, only the song of nature printed on them at birth, the woods became a place of learning and a place of refuge, until tragedy uprooted their foundation, leaving the youngsters split between two worlds. When forced to choose for themselves, would they live in nature with their parents, or seek a new life in society? 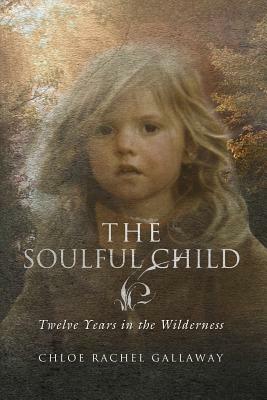 Author and intuitive writing coach Chloe Rachel Gallaway is the founder of The Winged River Writer and author of THE SOULFUL CHILD: TWELVE YEARS IN THE WILDERNESS, a memoir of her childhood through age twelve in the wilderness of Northern New Mexico. Chloe's unusual life of growing up deeply connected to nature and spirit has led her to a unique process of intuitively connecting to writing. The writing of her memoir became the foundation for her business and empowered her to become a warrior for helping others to find the truth in their story. A big believer in the power of owning our voice, Chloe is leading the VOICES book series (TM) movement, helping people become writers who show up with their heart-centered message in the world. As a mentor and facilitator of the writing process, Chloe is unlike anyone in the industry. She combines her experience of growing up in the wilderness with her training in mindfulness tools and literary writing techniques to deliver a powerful process of self-transformation and empowerment through writing. She helps her people move from fear to courage, and from doubt to confidence, in mastering the dance between craft and intuition. For detailed information about her programs and retreats, visit ChloeRachelGallaway.com.